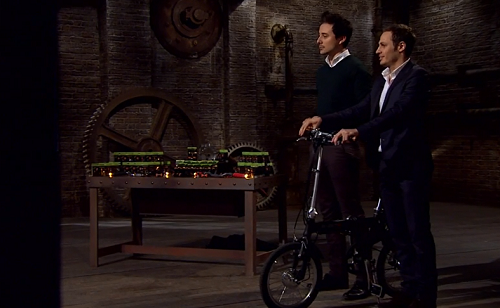 Luca Amaduzzi and Agostino Stilli, pitched their bicycle Wing Lights business for investment on Dragons Den. The Italian designers and business men came to the Den seeking a £45,000 investment for a 5% stake in their new business venture. Their Wing Lights Direction Indicators for Bicycles / Bike are now available at Amazon .